Book your complimentary consultation and shade analysis. Smartbleach is the only ‘true’ laser system (photochemical technique) in the dental industry at the present time. Therefore it is also the only whitening system that can penetrate the whole thickness of the enamel. Beware of imitations, some bleaching systems that claim to use a laser are not in fact laser at all and do not bring about the same, permanent results. Many people enquire in to the ‘safety’ of bleaching teeth. More than six years of research in Australian and European universities have shown there is no internal or external damage to treated teeth with this system. One treatment (1.5 hour appointment) is usually all that is required for most patients. Although, in some more difficult cases such as tetracycline staining or aged teeth, more than one treatment may be necessary to achieve the desired result. The Smartbleach laser whitening system requires dental expertise to operate and can only be used by the dentist. The 3LT Smartbleach light system is not a laser, however in certain cases this bleaching system may be all you need. 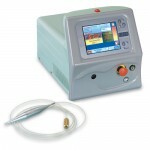 It is a cheaper option than the laser and depending on your teeth can give just as good results. We recommend coming in for a no fee consult and shade analyses to determine which system will be better suited to achieve your desired result. Home bleaching is also a service we can provide at Northbridge Dental Clinic. Bleaching guards can be constructed without impressions and Bleach provided with instructions to complete your bleaching at home.